Trees decorated with ornaments, boxes of presents piled below, and a shining star on top—shops around Kathmandu have taken up the Christmas spirit. Though the temperature is dropping, the warmth of the festive season is here. You don’t have to be a Christian to celebrate Christmas, as this global phenomenon is one more reason to spread good cheer and exchange gifts. This winter season, don’t spend on readymade products that lack soul. Try your hand at gifts made with love and effort. Your loved ones will appreciate it all the more. Here is a Do-It-Yourself guide to presents this Christmas season. Although we waved goodbyes to candles with the end of the loadshedding, there are few who can’t say no to the aroma of scented candles. In this cold weather and festive season, candles can be a perfect gift for your loved ones to relax to with its calming smell. To add something personal and extra, spice it up with a bit of your decorating style. This candle is from Miniso, you can find a similar one at any of its outlets. Once you get a candle of your choice, start by cleaning up any tags or labels. A nail polish remover can help you get rid of the sticky tags. When that’s done, take a hemp rope and wrap it around your candle pot and tie it neatly with a bow. You can easily find a ball of hemp rope in Thamel. For additional decoration, you can add some mini pine cones and some sea shells. You can add any tiny object but make sure it won’t burn along with the candle. 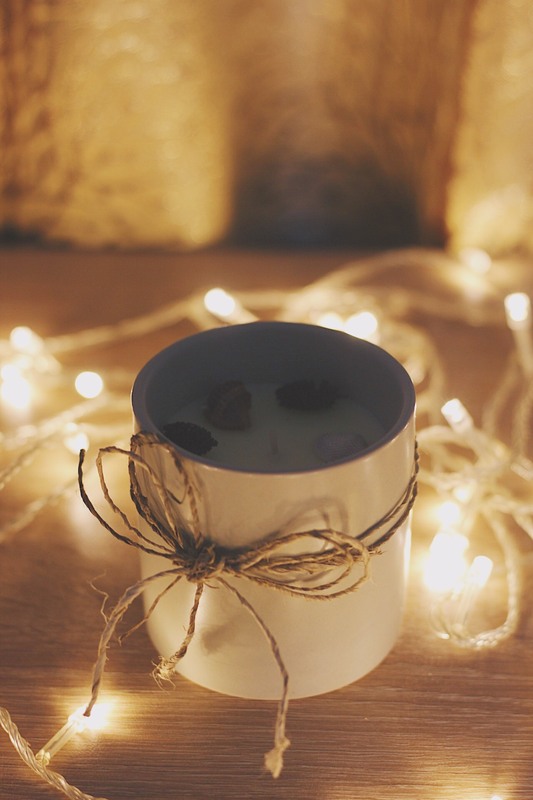 And, there you have it—a simple, personally-decorated scented candle! Although we try to, we may not be able to express our emotions on an everyday basis to our loved ones, especially when they are far away and only meet during festive gatherings. 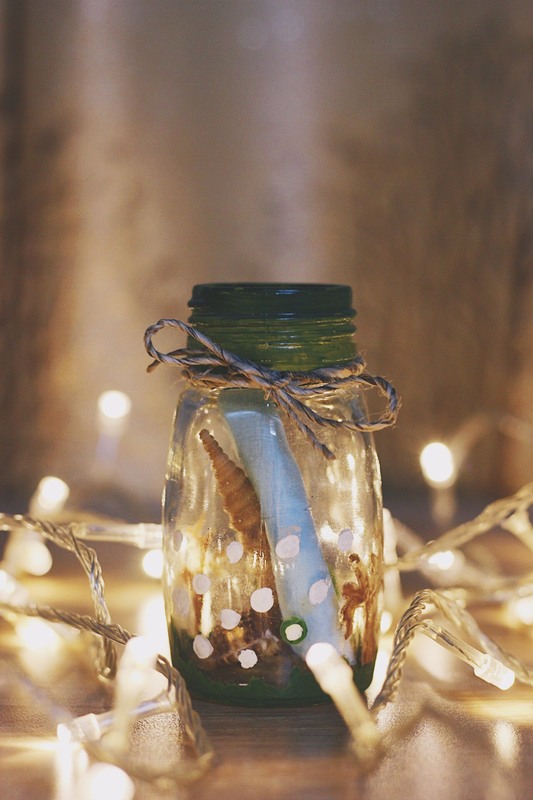 To let them know you’re always there, this tiny message in a bottle can be a great help. For this DIY project, take an empty Hajmola container and clean it to get rid of its smell before you begin. You can either spray paint the cap or decide not to use it. Use glass acrylic paint—found in stationeries at Bhotahity and even Bhat Bhateni’s stationery section—or regular acrylic paint will work just fine if you’re okay with it not being waterproof. If you’re using glass acrylic, go ahead and draw what you want on the Hajmola glass, else doodle using Fevicol glue on the glass and paint it later using normal acrylic paint. After you’re done decorating the outside, you can add any elements on the inside like sea shells, mini paper balls or glitter—anything depending on your style. Finish it all up by adding a rolled note on the inside and tie a hemp rope at the neck of the bottle. This Christmas, recycle the pots you get when you visit ZY in Basantapur for a cup of matka chiya. Start by cleaning the matka pot then proceed to colouring it after it dries. You can use acrylic paints that can be found at any local stationery—visit stationeries in Bhotahity if you don’t find one around your home. After you’re done painting, add some extra details using a marker or fine liner. You can finish up the decoration with a thread tied around the pot. Here, complementary colours can be used to give an extra pop to the pot. 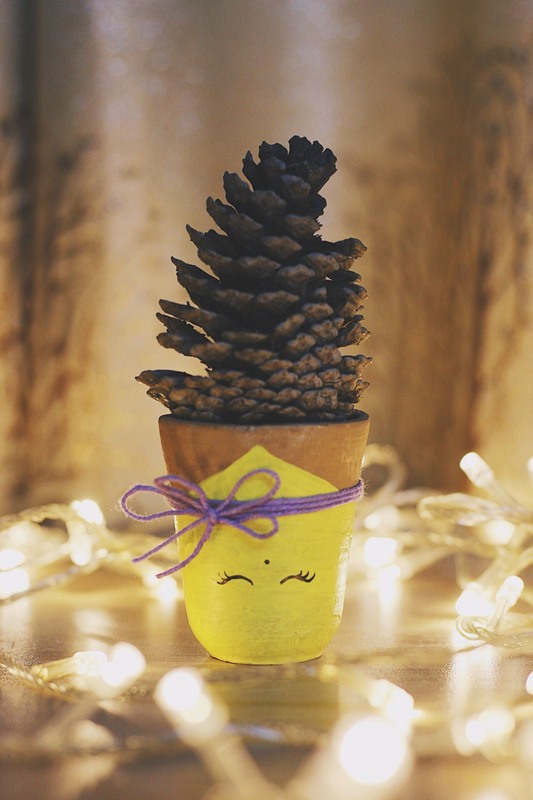 You can either gift the pot like this or plant a branch from a pine tree or stick in a pine cone to make it look like a mini Christmas tree. If you are gifting a book for your beloved bookworm, why not present them with an extra bookmark to mark their progress? 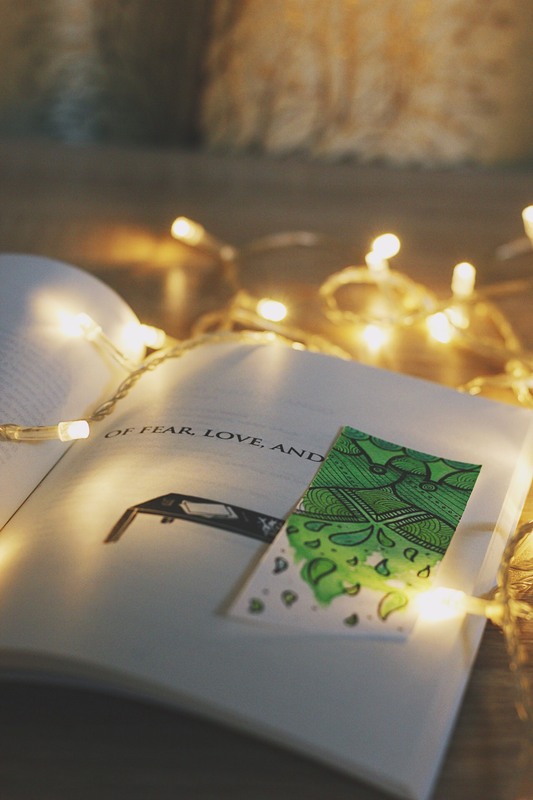 Depending upon the person you’re about to gift, you can create a bookmark based on the book or something that signifies your memories. For this DIY project, you’ll need high-quality paper that can hold the pigments of your colouring instruments. Here, a piece of French cartridge paper was used, which is good for water painting. You can even use ivory paper to make a smooth and minimally illustrated bookmark but make sure they are a bit thicker. Cut your desired paper into the size you want your bookmark to be, the one illustrated here is 10x4 centimetres. Green watercolour was randomly applied on the paper to achieve an abstract effect. After it dried, it was illustrated with doodles and cut diagonally on the ends. You can even add a tassel to the top by punching a hole.